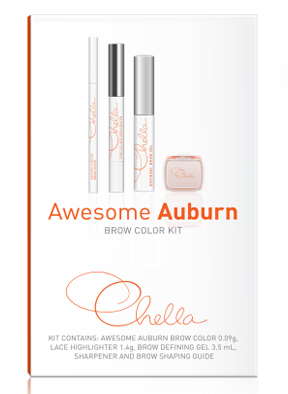 AWESOME AUBURN EYEBROW PENCIL KIT CONTAINS THE ESSENTIAL PRODUCTS TO FILL, SHAPE, DEFINE AND HIGHLIGHT YOUR PERFECT EYEBROWS. 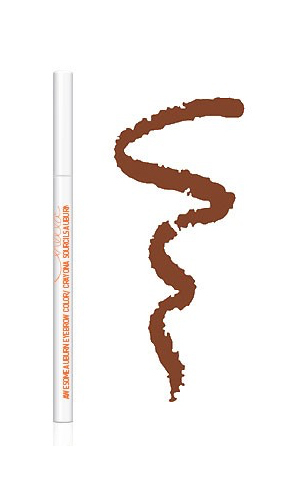 THE LONG WEARING CHELLA EYEBROW PENCIL HAS A CREAMY CONSISTENCY THAT GLIDES INTO PLACE AND CAN BE LIGHTLY SMUDGED FOR A TRULY NATURAL LOOKING FINISH. 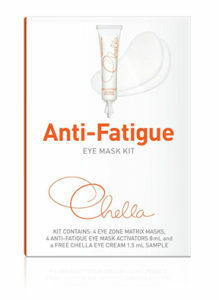 TO TAME UNRULY HAIR AND HOLD YOUR FINISHED LOOK IN PLACE ALL DAY USE A SWEEP OF THE CHELLA EYEBROW DEFINING GEL. FINISH WITH THE AMAZING MULTI-USE CHELLA HIGHLIGHTER PENCIL IT HIGHLIGHTS, CONCEALS AND BRIGHTENS ALL AREAS OF YOUR EYES, EYEBROWS AND FACE. POLISHED, SOPHISTICATED EYEBROWS.